Daniel Weiss, James B. Knapp Dean of the Krieger School of Arts and Sciences since 2002, announced at the close of 2004 that he will be leaving Johns Hopkins. On July 1, he will become the 16th president of Lafayette College, a liberal arts institution of 2,300 undergraduates in Easton, Pennsylvania. Weiss will succeed Arthur J. Rothkopf, who is retiring after 11 years as Lafayette's president. Weiss is proud of having developed a vision for the Krieger School's future. Photo by John Dean "It's a great opportunity, but I leave here with great affection for Hopkins, and with gratitude," Weiss said after his announcement. "Lafayette is an excellent liberal arts college whose central concerns are the kinds of issues that I've worked hard for at Johns Hopkins — undergraduate education, and liberal education focusing on the breadth and depth of what an undergraduate experience ought to be." Weiss earned an MA in art history in 1982 from Hopkins and a PhD in 1992. The next year, he joined the art history faculty, and became department chairman in 1998. During his Hopkins career he won three teaching awards, and in 1994 became one of the few art historians ever to win the Van Courtlandt Elliott Prize from the Medieval Academy of America. The prize recognizes exceptional first articles published in medieval studies. Before he became dean, Weiss helped develop the Krieger School's strategic plan, and as dean worked to implement it. "I'm most proud that we've been able to work hand in hand with the faculty to develop a vision of the future for the school," he said. He also expressed pride in the creation, during his tenure, of new programs in East Asian, Africana, and Jewish studies, as well as increased diversity among Krieger students and faculty; a heightened focus on academic ethics; revision of the undergraduate curriculum; and participation in the Charles Village Project, a new student housing, retail, and parking complex now under construction on Charles Street across from the main campus. Johns Hopkins University is already more than three-quarters of the way to its goal of raising $2 billion as part of the university's Knowledge for the World campaign. The eight-year campaign, which will conclude in 2007, has so far attracted gifts and commitments of $1.54 billion, surpassing in just over four years the record $1.52 billion raised in the entire nine-year Johns Hopkins Initiative, which ended in 2000. 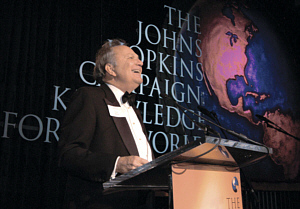 Johns Hopkins University Board of Trustees Chair Raymond "Chip" Mason announced at the October Alumni Leadership Weekend gala that the campaign had so far raised $1.54 billion. For more on the gala, see the alumni news section. Photo by Larry Canner "The outstanding success is a testament to the loyalty and generosity of many thousands of alumni, friends, foundations, corporations, and other supporters of Johns Hopkins," university President William R. Brody wrote in an e-mail message to faculty, staff, and students. "It is also a tribute to you. 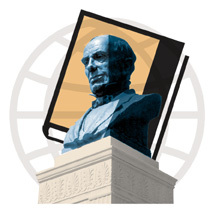 It is your hard work, your scholarship, your research and creativity, your contributions of knowledge to the world that inspire so many gifts, large and small, to Johns Hopkins." Money raised in the Knowledge for the World campaign has been instrumental in the completion of major capital projects, such as the $27 million renovation of the Peabody Institute and the final build-out of the Bloomberg School of Public Health block on Wolfe Street. But bricks-and-mortar projects remain a significant campaign priority, representing 30 percent of the goal. Johns Hopkins Medicine development officers are working toward a $272 million goal for private support for a new cardiovascular and critical care tower, a children's and maternal hospital, and three research buildings. Of that, $116 million has been raised so far. Other important capital projects are the South Quad project (see p. 24) and Gilman Hall renovations at Homewood and a School of Nursing expansion that will also house the Berman Bioethics Institute. Another campaign priority is endowment, especially for student aid and faculty support. The Krieger School of Arts and Sciences and the Whiting School of Engineering, for instance, are seeking $100 million for undergraduate financial aid; $22.7 million is in hand so far. Gifts of $1 million or more represent 75 percent of the total raised, but smaller gifts have also helped to propel the campaign forward. In fact, the number of Homewood undergraduate alumni making annual gifts of any size has increased from 28 percent to 32 percent. Sweet relief for the stressed-out student? Not this time. Stressbusters has a funny problem. The student group wants to give free, five-minute seated massages to alleviate stress. But Hopkins students are just too stressed out to take them up on it. On a December evening during finals week, the top floors of the Milton S. Eisenhower Library are an anxiety-filled place. Some students cluster in small groups to review class notes. Others slump over books at café tables littered with takeout food containers. The air is filled with nervous chatter and the steady whir of an espresso machine. Though Stressbusters gave 110 backrubs during the Fall Festival in September, shown at right, their finals event was less successful. Students "can't take five minutes for themselves," says Battick. Photo by Will Kirk Relief stands just inside the library doors. Sophomores Leandra Uribe and Katie Battick — dressed identically in jeans, flats, and white Stressbusters T-shirts — have been trained in seated massage and relaxation techniques. Following the urgings of Stressbusters student coordinator Abby Burch to "look friendly, but not creepy," they make eye contact. They smile. They inquire politely. Time and again they are rebuffed: "We have to study." "We don't have time." Almost an hour passes before a graduate student agrees to a free backrub. "This is the Hopkins way," Battick sighs. "They can't take five minutes for themselves." Stressbusters started last fall as a joint program of the offices of the Dean of Student Life, Health Education and Wellness, and the Student Health and Wellness Center. So far, about 150 trained student volunteers have given more than 300 backrubs to students, faculty, and staff at 17 campus events, says Barbara Gwinn, associate director of the Office of Health Education and Wellness. The two-hour library event, which resulted in only a half dozen back rubs, had less traffic than the coordinators hoped, but Gwinn is already thinking about ways to improve similar events in the future. Stressbusters, which started at Columbia University in 1996, was brought to Hopkins by Allegra Hamman, a nurse practitioner at the Student Health and Wellness Center. Hamman — who saw students' stress-related insomnia, depression, headaches, and back pain — wanted to help students better manage stress. "If we can start to make the link for them between stress and illness, educating them about some lifestyle choices that will enhance their coping mechanisms, we will be providing an important service," she says. "Stressbusters backrubs are just one means of doing that." The backrubs benefit both the givers and receivers, notes Jordan Friedman, the health education trainer who founded Stressbusters at Columbia. "Stressbusters is so much more than a five-minute backrub," he says. "One of the components of the training is that the students learn how to communicate with their Stressbustees. This training can translate into students' social lives, lives with their partners, children, and friends." Eight years ago, Roger Brunyate went looking for a story to form the basis of an opera. Sifting through the short fiction of W. Somerset Maugham, he hit upon "The Alien Corn." This might work, he thought. The characters and fundamental issues resonated beyond the confines of the story, and central to its narrative and emotional quality was music. Roger Brunyate Next month, Peabody Opera Theatre presents the world premiere of The Alien Corn, an opera in two acts. Brunyate, chairman of Peabody's Opera Department, wrote the libretto, and his Peabody colleague Tom Benjamin composed the music. Maugham's story is the tragic tale of George Bland, the scion of a baron and member of Britain's parliament. In the late 1920s, George's parents live the fiction of being descended from generations of English landed gentry, though two generations earlier, the Blands were not the Blands. They were the Bleikogel's, prosperous German Jews who came to England and prospered some more. As the opera opens, George's parents, Sir Adolf and Lady Miriam, have renounced their German and Jewish heritage. Miriam now prefers the name "Muriel"; Adolf wishes to be called "Bertie." George rejects his family's fabricated identity and his father's plans to groom him for Parliament. He convinces his parents to let him study piano in Germany, on condition that in two years he return to England and play for an eminent pianist who will judge whether he has the potential to become a great concert artist. George spends the two years intensely studying music, but also finding his lost cultural roots. When he returns home and plays his recital, the eminent pianist confirms what he already suspects: He will never be more than a talented amateur. George accepts her verdict, leaves the room, and takes his own life. Asked about the challenges of turning Maugham's story into an opera, Brunyate responds with a list: "Rounding out the narrator. Filling out the other characters to make it a true ensemble piece. Being evenhanded in the distribution of roles, and sympathizing with as many of the characters as possible. And writing for and about music without ever having the music heard." The last refers to the piano music central to the plot. Brunyate and Benjamin were concerned about finding singers who could play the piano parts onstage. They also didn't know how they would work scene changes around a grand piano. In their solution, the piano stays in the orchestra pit, George's recital occurs offstage, and all the piano music comes during the orchestral interludes. 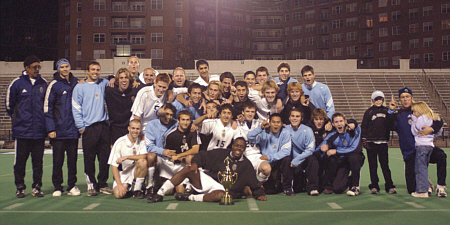 When Johns Hopkins men's soccer opened its 2004 season, the team had no place in the national rankings. Talk about underestimated. The Jays proceeded to roll up an undefeated regular season, spend seven weeks in the No. 2 spot of the national Division III poll, and advance to the Sweet Sixteen of the NCAA national championship before dropping a one-goal match to Maryland rival Salisbury State. The 2004 Hopkins team set school records for winning percentage (.900), fewest losses (1), and best start to a season (16-0). The Jays never even trailed in a game until the second round of the NCAA tourney. Key to Hopkins' stellar season was defense. The Jays allowed only six goals all year and never more than one in any single match. The team's goals-against-average was the eighth best ever recorded by a D-III school. Senior goalie Gary Kane Jr. was rewarded for his efforts by receiving first-team All-American honors and a mention in the January 10 Sports Illustrated. Junior midfielder Manbaj Gill was named second-team All-American. In addition to their strong showing in the NCAA tournament, the Jays won the Centennial Conference championship for the fifth time. In that other version of men's football, Hopkins had its third straight championship season as quarterback Zach DiIonno led the Jays to a 9-2 record and victory in the Eastern College Athletic Conference Southeast Championship game. For the third straight season, Hopkins shared the Centennial Conference championship and won its post-season ECAC game. DiIonno, a junior, led the conference in passing yards and total offense. His favorite target, sophomore Anthony Triplin, led the Centennial in receptions, and sophomore Ben Scott was the conference's leading kicker. The Jays did not always make winning look easy, as they came from behind six times for victories, including the 26-23 win over Waynesburg for the ECAC title. Photo by Jay Van Rensselaer Under head coach Jim Margraff, A&S '82, Hopkins football has enjoyed a striking resurgence. From 1969 to 2001, the Jays did not win a single football championship. In the last three seasons, Hopkins has won six. Of their last 35 games, the Jays have been victorious in 30. 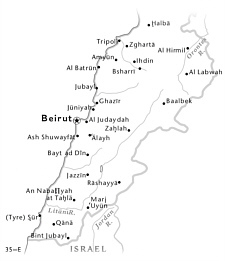 Back in 1963, when Tommy Turner, then dean of Johns Hopkins Medicine, agreed to create an exchange program with the American University of Beirut, the goal was clear: "to help AUB become the Johns Hopkins of the Middle East," recalls Lebanese-born radiologist Nagi Khouri, today director of the Breast Imaging Center at Johns Hopkins. The American University of Beirut And for a time, that goal seemed within reach. From the mid-1960s through the mid-1970s, 21 AUB medical center fellows underwent training at Johns Hopkins; 17 returned to AUB to hold posts as department chairs or dean. In addition, some 30 AUB physicians (among them Khouri) received medical training at Hopkins. 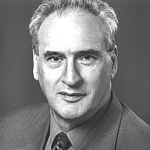 When Sam Asper, then Hopkins vice president for medical affairs, became dean and chief of staff at the AUB medical center in 1973, he established training programs for paramedics, nurses, and public health workers for Lebanon, Syria, and Jordan, and laid the groundwork for making AUB the principal postdoctoral center for the Arab world. But everything came to a crashing halt in 1975, with the outbreak of civil war in the region. 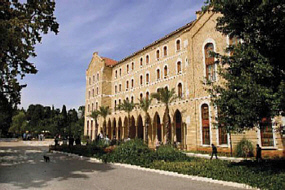 The AUB medical center became a casualty and war hospital. The collaboration with Hopkins, which had been so promising, ceased to exist. "Now we're back to square one," says Khouri. He is among a handful of Johns Hopkins Medicine leaders, including Paul Lietman, who are determined to restore the Johns Hopkins/AUB relationship. "This has the potential to build a much-needed bridge between the United States and a very volatile part of the world," Lietman says. Last spring, the two institutions signed an agreement to advance a scientific and training exchange. In August, Myron Weisfeldt, chair of the Department of Medicine at Hopkins, and half a dozen Hopkins medical faculty evaluated the medical program at AUB and developed a plan for the future of the exchange. On the agenda: sending up to six Hopkins medical faculty a year to the AUB medical center, to spend a month each teaching and doing research. In particular, Hopkins researchers will help in establishing centers of excellence in such areas as neuroscience, genetics, and oncology. Fellows from AUB will also train and conduct research at Hopkins. "Afghanistan is one of the riskiest places in the world to be pregnant," says Jeff Smith. "A woman dies in Afghanistan every 20 minutes of a complication of pregnancy." Photo by JHPIEGO Smith, an ob-gyn with appointments at the schools of Medicine and Public Health, is based in Kabul, where he is the country director for JHPIEGO, a Johns Hopkins affiliate that improves health care internationally for women and newborns. Despite Afghanistan's emergence from the repressive rule of the Taliban, Smith says, it is still a dangerous country, especially for women giving birth. An Afghan woman faces a one-in-six lifetime risk of dying from a complication of pregnancy. (In the United States, the risk is one in 4,000.) "If you imagine an Afghan classroom with six little girls, one of them will ultimately die as a result of complications of pregnancy," says Smith. "You'd have to fill the stadium at Hopkins with girls in order to have one of them run that risk." Unfortunately, women in Afghanistan are not alone. Each year, more than 500,000 women die in childbirth worldwide, most often from infection and postpartum hemorrhaging. Both are easily managed by skilled providers — doctors, nurses, and midwives. Only 60 percent of women in the world use a skilled provider; in developing countries, that number can be significantly lower. JHPIEGO's mission is to turn those statistics around. Last summer, the organization received a five-year, $75 million USAID award to lead ACCESS, a program to work with health providers, policy makers, and country health ministries to scale up existing JHPIEGO programs. 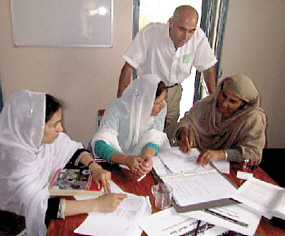 ACCESS follows up on the Maternal and Neonatal Health Program (MNH), which since 1998 has been developing best practices, training experts, and advocating for women to have better access to health care. "We have great strategies," says Leslie Mancuso, JHPIEGO's CEO. "We've identified ways to save women's lives. We've identified ways to save newborns' lives. But we need to make sure it becomes a national program" in the countries where JHPIEGO works. JHPIEGO'S ACCESS partners are Save the Children, the American College of Nurse-Midwives, the Futures Group, the Academy for Educational Development, and Interchurch Medical Assistance. Photo by JHPIEGO One of the most important parts of their mission is to increase the number of skilled attendants. 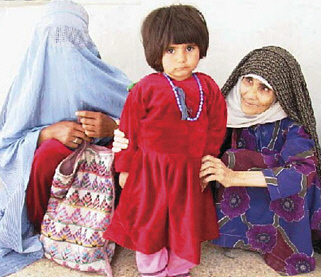 Afghanistan, for example, has only 400 trained midwives. "Women can only be seen by a female health care provider," says Smith. "Husbands would rather allow their wives to die than be attended by a male physician." Over the next two years, JHPIEGO training programs will triple the number of midwives and, more importantly, "facilitate a fundamental shift in the educational process so that all future generations of midwives are better trained," Smith says. Another key element is making sure information is relevant and applicable to a low-resource country. In many remote communities, a "health center" can be one room, often without electricity or running water, says Patricia Gomez, an ACCESS clinical specialist. JHPIEGO teaches health care providers simple solutions,like using chlorine to prevent infection or having community members bring water to the center every day. "We're not going to be able to give each country, each provider, each facility all the money they'll ever need," says Gomez. "But to be able to use the very simple things that we can find in a country to do infection prevention — if it's chlorine and water in a bucket, that's what we do." Photo by JHPIEGO ACCESS medical director Harshad Sanghvi cites JHPIEGO's approach to cervical cancer as another simple solution to a major problem. A Pap smear, Sanghvi explains, isn't feasible where "women have to walk 50, 60, 70 miles to come to a clinic," because you can't expect them to return for test results. So JHPIEGO developed the "single visit approach" to diagnosis and treatment. "The beauty of this test is that a nurse in remote parts of Africa or Asia can do this. The tools required are very simple-a speculum, ordinary kitchen vinegar, a pair of good eyes, and a reasonable amount of light," says Sanghvi. If pre-canerous lesions are found, the nurse can remove them during the same visit. "We were on the way to get some tea in the main dining room when the tidal wave struck. We were in the large lobby, which is open on the ocean side, when at 10 a.m. a wall of water loomed up about a hundred yards away. (Later news would tell us it was about 30 feet high.) Fortunately, we were close to the main stairwell, and the three of us ran like hell up the stairs as we heard a thunderous crashing noise below us. When we looked out at the third-floor open air lounge, we saw below us a mass of debris." — Walter Andersen, associate director of South Asia Studies at Hopkins' Nitze School of Advanced International Studies, who was vacationing with his family in Sri Lanka on December 26, 2004. There's a new quad in town. On paper, that is. In November, the university's Buildings and Grounds Committee approved the schematic design for a new "South Quad" on the Homewood campus. It will be built on a current visitor/staff parking lot and what was once known as Garland Field. The new quad will be anchored by a 26,000-square-foot Visitors' Center and will give the campus a more inviting entry point. The new Visitors' Center, which will front Wyman Park Drive, will anchor the South Quad. Garland and Clark halls and a new computational sciences facility will flank the quad. Visitors will be directed to enter campus off Wyman Park Drive and park in a new underground parking facility, a three-level structure beneath Garland Field that will accommodate 600 cars. From there they'll proceed to the Visitors' Center, which will house the Admissions Office (currently located in Garland Hall); an alumni board room; and an area featuring information on Hopkins history, current research, and the Homewood undergraduate experience. Planners expect the center to have a traditional design, consistent with the campus's Georgian character. The quad will be lined with trees and feature a long expanse of "recreational turf." Larry Kilduff, executive director of facilities management, describes the planned quad project as "truly transformational" for the Homewood campus. "What makes this project especially significant is its position on the campus and the fact that it is creating a new south entrance," Kilduff says. 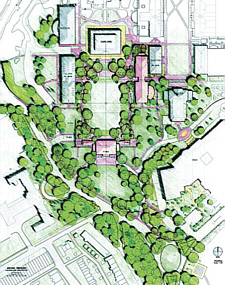 In addition to the Visitors' Center, the South Quad will be formed by Garland and Clark halls, a new computational sciences facility, and three future buildings that were called for in the university's master plan drafted in 2000. The 74,000-square-foot computational sciences building will sit opposite Clark Hall and primarily contain research space. "This is very much an interdisciplinary building," says Travers Nelson, program manager in facilities management. He expects the building to be useful for collaborative research between faculty from the School of Medicine and the schools of Arts and Sciences and Engineering. Two tenants — the robotics research group from Engineering and a computational life sciences group — have already been identified. Construction is set to begin in June, with completion of the Visitors' Center, parking lot, and computational sciences building set for late 2007. Excavation of Garland Field will occupy the first few months of construction, as workers clear the way for the underground parking facility. The last sentence of Encyclopedia Britannica's entry on the lamprey states, "They are . . . of no great positive value to man." If Ralph Etienne-Cummings' research bears out, that assertion will need to be revised. A Whiting School associate professor of electrical and computer engineering, Etienne-Cummings wants to develop an electronic implant that would restore mobility to people with paralyzing spinal injuries. Scientists believe that people can walk because in their lower backs are bundles of neurons called central pattern generators. These neurons act as a sort of oscillator, orchestrating the repetitive, sequenced muscle movements that constitute walking. When a spinal injury results in paralysis, scientists suspect that the pattern generator itself has not been damaged, but its connection to the brain has been severed. In theory, if the proper impulses could be sent to the lower spine by some other means, a paraplegic could walk again. 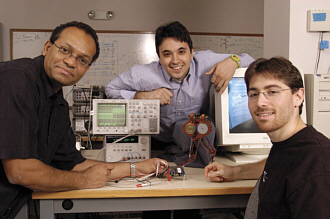 Etienne-Cummings (far left) works with doctoral students Francesco Tenore and Jacob Vogelstein on his spinal cord microchip project. Photo by Will Kirk Enter the lamprey. Often called lamprey eels though they are merely eel-like, lampreys are fish, parasitic in most cases, found in both fresh and salt water. They are one of the most primitive of vertebrates, but their spinal cords have properties that scientists can use to model higher vertebrates, even humans. Furthermore, lamprey cords can be removed from the fish and kept alive and functioning in a laboratory solution, which makes them ideal for study. Etienne-Cummings and Avis H. Cohen, a professor of biology at the University of Maryland, have been studying how lamprey cords transmit the nerve impulses that make the fish swim. Their goal is for Etienne-Cummings to replicate, and modify in a predictable way, the patterns of those impulses on a silicon microchip. The chip will form the heart of a device that the researchers will then implant in a lamprey, to see if they can artificially stimulate it to swim. The ultimate goal is to create an implant for people with lower-body paralysis, to stand in for the brain to stimulate, in a very simple way, that person's pattern generator and restore function to the legs. The microchip would do what the person's brain no longer can: in effect, tell the legs to get moving. Etienne-Cummings is confident that he and Cohen can create a chip to stimulate a lamprey. But progress toward a human implant is not assured. He notes, for example, that while scientists know that central pattern generators exist in lampreys, mice, and cats, there has been debate as to whether they exist in humans. The matter remains controversial, but recent experiments strongly indicate that they do, though precise location of the neural circuits and structures remains elusive. "It is not a slam dunk, by any means," he says. "Just because we can do it in lampreys does not imply that we can do it in humans. In humans it's a much more complicated process. A human is limbed — there are arms and legs, with different muscles that [compared to lampreys] have completely different temporal dynamics in terms of how you activate the muscles." Spring is the season for growth and change, so it seems appropriate that Stephen G. Nichols is excited to talk about some of the changes ahead for the Krieger School's Department of Romance Languages and Literatures, which he chairs. The biggest change is that Romance Languages and Literatures will merge with the Department of German. "This is a dynamic initiative that allows the department to have a critical mass it never had before," says Nichols, who will chair the new Department of German and Romance Languages. "It allows us to undertake the kind of programs we've never been able to offer and to create the momentum to attract top people. My goal is to make the German Department as strong as it's ever been." Illustration by Robin Jareaux / Getty Images Humanities departments at Hopkins tend to be small. When faculty leave or retire, it can be difficult to replace them or to attract top graduate students, Nichols says. There was a concern this could happen with the German Department, which recently saw the departures of a number of professors and currently has only three tenured faculty. The merger will become effective on July 1. Nichols has a proven track record when it comes to such academic mergers. 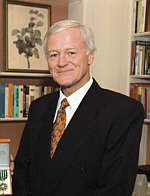 He joined the Hopkins faculty in 1992 as the James M. Beall Professor of French and Humanities, and in 1995 became chair of the French Department. 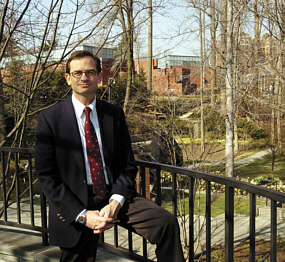 In 1999, when it merged with the Department of Hispanic and Italian Studies to become the Department of Romance Languages and Literatures, Nichols was named chair. 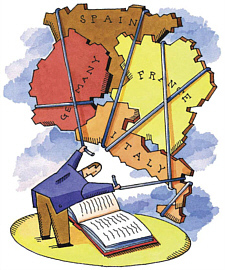 Since then, the French and Italian sections have hired high-profile faculty members, and the department has added programs in Spain, Italy, and France. "We are all much stronger now than we were then," Nichols says. Nichols' skill at strengthening academic departments is also evidenced in his recent recruitment of a top scholar to the department from Switzer-land. The Swiss government's mandatory-retirement policy would have forced Michel Jeanneret, a 16th-century French Renaissance specialist, to leave his job next year as head of the Modern French Department at the University of Geneva. Instead, starting this fall, the 64-year-old Jeanneret, who has agreed to a three-year part-time contract, will spend one semester each year teaching in Baltimore and the other in Europe, where he will supervise his graduate students in Geneva and conduct research in Paris. The Department of Romance Languages and Literatures and the Department of German mourn the deaths of two long-time faculty members. 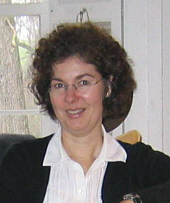 Bianca Theisen Bianca Theisen, a professor of German and a Johns Hopkins faculty member since 1992, died November 16 of cancer. She was 44. A highly regarded literary theorist, Theisen specialized in German Romanticism and media studies. She distinguished herself as a scholar with "the lucidity and the elegance in her writing as well as in her teaching style," mRudiger Campe, chair of the German Department in the Krieger School of Arts and Sciences, told The Gazette. "She has been a magnificent teacher." SAIS's "service to the nation, service to humankind"
"SAIS is a farm club for the State Department. SAIS has done so much to provide the human intellectual infrastructure of national global security in the 21st century. We rely on America's prowess in higher education to provide us with men and women deeply knowledgeable about the world, capable of mature judgment, dedicated to truth and dedicated to service, service to the nation, service to humankind. [I'd like to congratulate] SAIS on reaching your 60th year of outstanding achievements, outstanding service to the world. And you need to keep doing it, for six decades more, and six decades more beyond that. We need you, the nation needs you . . . and above all, the world needs you." — Then Secretary of State Colin Powell, speaking at Hopkins' Nitze School of Advanced International Studies' 60th anniversary dinner last October.